What edtech tools are you looking forward to using next year? 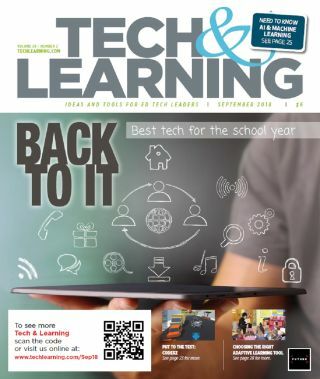 Tech & Learning asked readers. Here are the highlights. There is something magical about a classroom at the beginning of the year; the supplies are fresh, new boards are up, and everything is organized. Thanks to breakthroughs in computing power, the potential of AI is now starting to be fulfilled. Find out how adaptive learning solutions are helping teachers target instruction and use data more effectively—and how they’re helping students learn. NASA’s Project Mercury launched the first Americans into space in the early 1960s and led to a remarkable series of space flight accomplishments that still inspire us today. Fast forward to today, and Kansas is embarking on its own Moonshot—an educational revolution inspired by NASA’s Project Mercury. T&L editors take some new products for a test drive.